Selected by students in the Institute for the Arts in southwest Florida. Self-described as “the opposite of fun,” David Rakoff was one of the most acerbic and simultaneously loveable essayists in contemporary American culture. But Rakoff made a career of it—brilliantly—ultimately winning the prestigious Thurber Prize for Humor as well as two Lambda Literary Awards. His three collections of essays, Fraud, Don’t Get Too Comfortable, and Half-Empty, reveal a wit that is observant, unrelenting, and deeply, deeply felt. While on the one hand skewering an American culture beleaguered by what he called “the never-ending quest for artisanal olive oil and other first world problems,” his essays also always held an undercurrent of melancholy. Or “defensive pessimism,” as Rakoff himself once called it. The mix resulted in essays that were always uniquely voiced, hilarious, and unexpectedly haunting. So when Rakoff was diagnosed with cancer in 2010—his second bout with the disease after battling Hodgkins Lymphoma at the age of 22—it was only a matter of time before he started discussing his illness with heartbreaking openness, humor, and tenderness. His last live performance on This American Life , for which he served as a contributing producer, quickly became one of the show’s most popular downloads. There are stretches of triumph that feel like cosmic rewards for good behavior followed by inexplicable setbacks that seem like indictments of your character. With so much muddy logic crowding out reason, it’s best when news, good or bad, is delivered quickly and clearly. I will forever be grateful to my oncologist for opening the door and saying, “Damn it, the tumor’s 10 percent bigger,” before he even said hello. Rakoff passed away in 2012. He was 47. 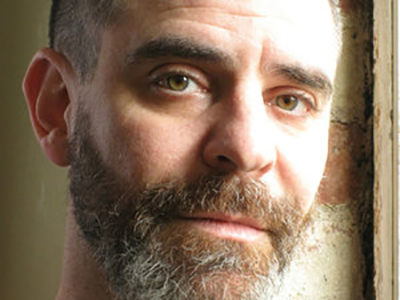 David Rakoff published essays in dozens of periodicals, including GQ, Salon, Details, New York, Vogue, Outside Magazine, Slate, and Harper’s Bazaar. Eventually he collected this work in three exquisite books of essays, Fraud, Don’t Get Too Comfortable: The Indignities of Coach Class, The Torments of Low Thread Count, The Never-Ending Quest for Artisanal Olive Oil, and Other First World Problems, and Half Empty. For these Rakoff was award numerous literary honors, including two Lambda Literary Awards and the prestigious Thurber Prize for Humor. A founding contributor to the popular radio program “This American Life,” Rakoff was also a screenwriter, playwright, and actor with nearly a dozen films and plays to his credit. He died in 2012 at the age of 47.